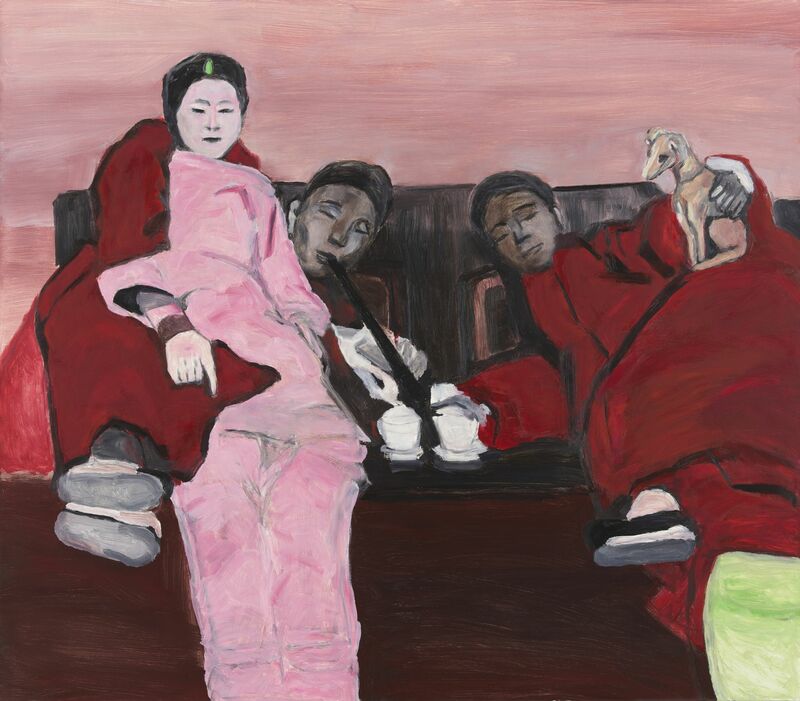 Greene Naftali now represents contemporary Chinese painter Gang Zhao. The son of Chinese Manchu intellectuals, trained in Europe and the United States, Zhao’s stylistically diverse body of work contemplates China’s tumultuous 20th century through a deliberate application of techniques and attitudes both native and foreign, traditional and radical. This spring will also mark Zhao’s first solo museum exhibition in the United States, with Zhao Gang: History Painting, opening at Pérez Art Museum Miami on May 24th. Gang Zhao’s work is shaped by a dialectic of displacement and encounter between Western painting practices and those of his native China. Currently based in Beijing and Taipei, Zhao has observed decades of political upheaval and social change both from within his native country and during a period of expatriation. After making his artistic debut as the youngest member of China’s first avant-garde collective Star Star (星星画会), Zhao left China in 1983 to pursue a formal art education in the Netherlands before moving to New York, where he would live for over two decades. Zhao’s trajectory of self-imposed dislocation and historical consciousness are distinctly reflected in his paintings: with a frenetic touch and irreverence that betray the influence of Western techniques, his works perform and exaggerate the iconography of classical Chinese painting and Socialist Realism. For his first exhibition at Greene Naftali, Zhao presents a series of scenes of 20th century China as it underwent modernization, highlighting the anxieties of the period—the moral decay of China’s brothels; the catastrophic implications of nuclear testing—and their persistence in contemporary life. For Zhao, history painting is a radical means through which he reveals the complexities of a diasporic Chinese subjectivity.